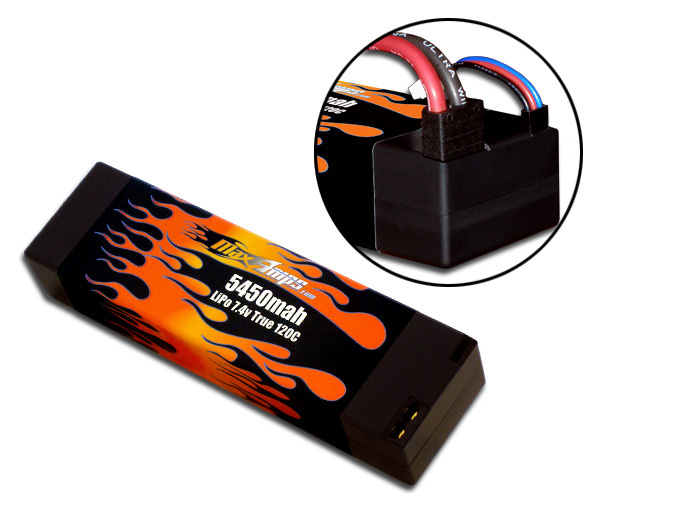 New "internal plug" option for our popular 5450 7.4v 120c battery pack. This pack offers the best of both worlds. You get the lower resistance and higher performance of a single connection between the speed control and the battery along with the clean look of built in connectors. This LiPo pack offers a true 120c discharge rating and a 5c charge rating. All MaxAmps.com packs are built to order in Spokane, WA with grade-A cells and come with a lifetime warranty. I wish all packs were like this one! Nicest pack I have ever run!